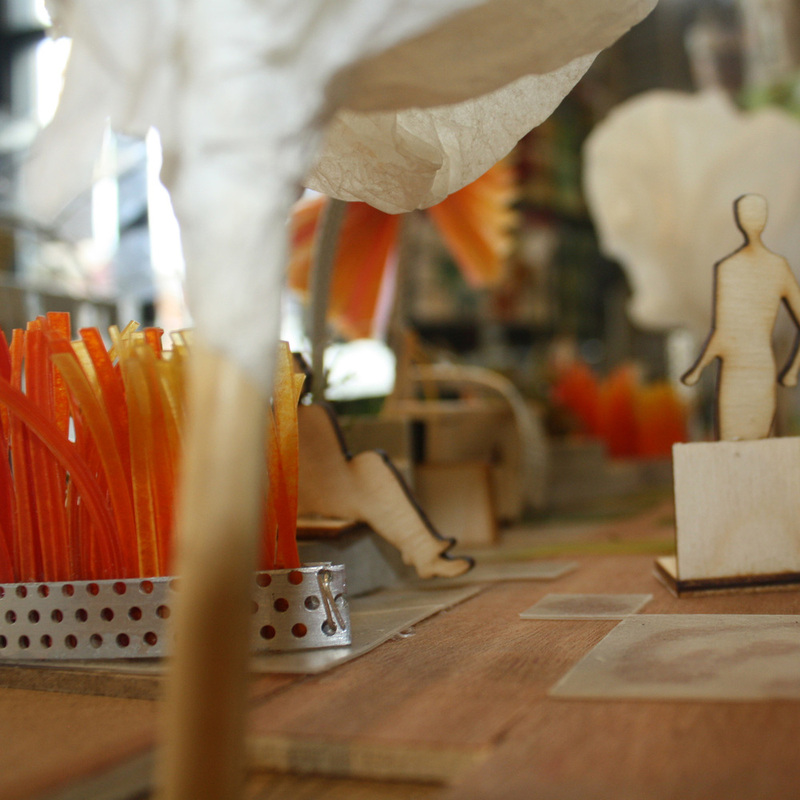 For five weeks, more than 30 students in Carla Delcambre's NCSU Landscape Architecture course on Construction + Materials + Methods worked on designs for raleigh [ ] space. The results are AMAZING! After you check out the photos below, be sure to visit our KICKSTARTER page to help make this happen by September! 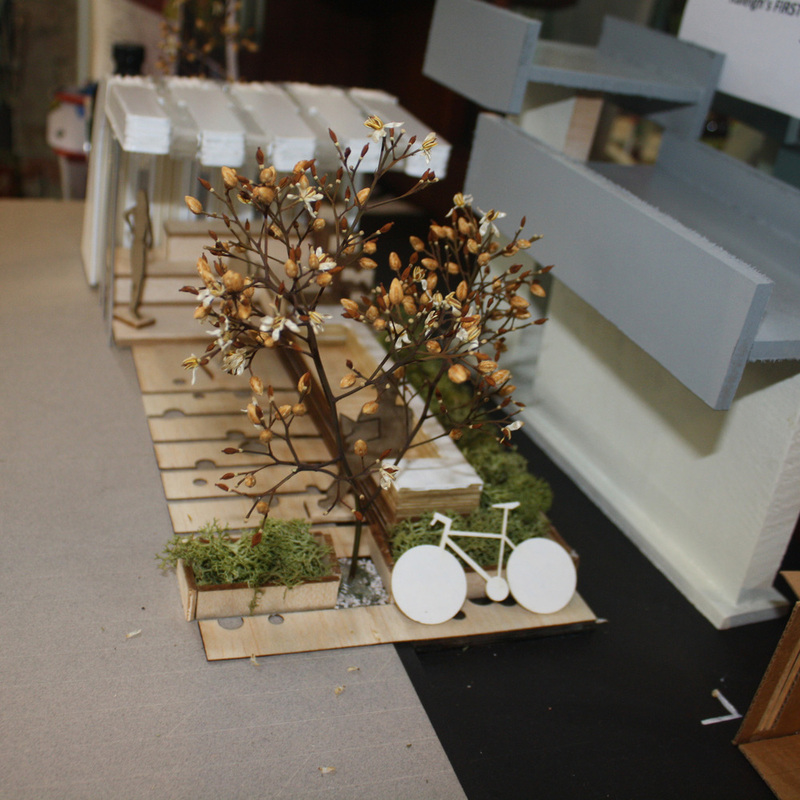 The parklet will take up two parking spaces plus space along the building. It will be there for at least a year, but needs to be removable within 24 hours. It should be colorful, connect to its environment and include local art/design. 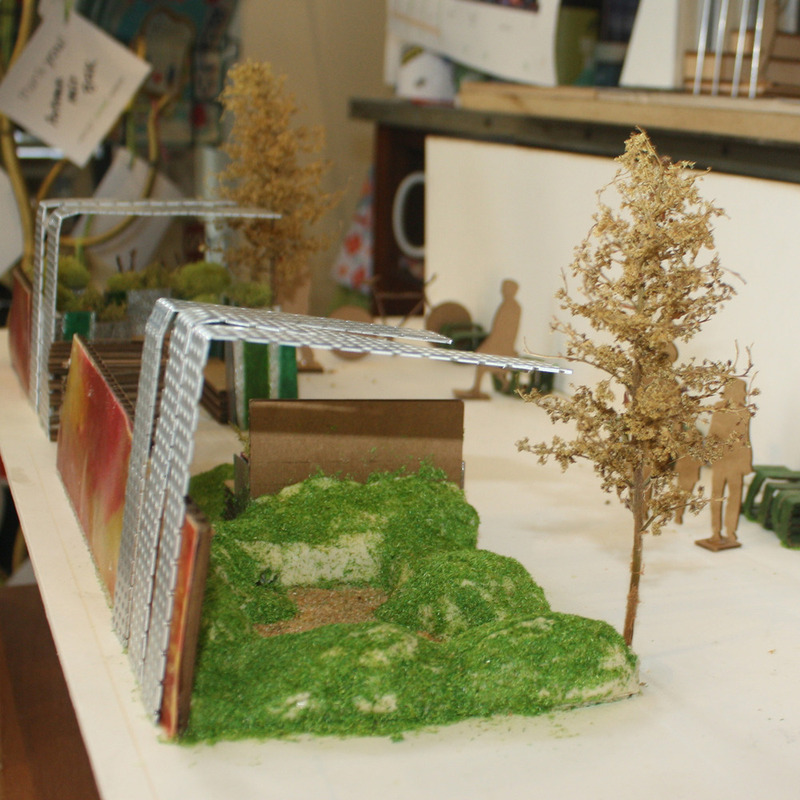 Thanks to the folks at the Urban Design Center, the students were invited to present their individual concepts to an audience of city officials and urban design professionals. 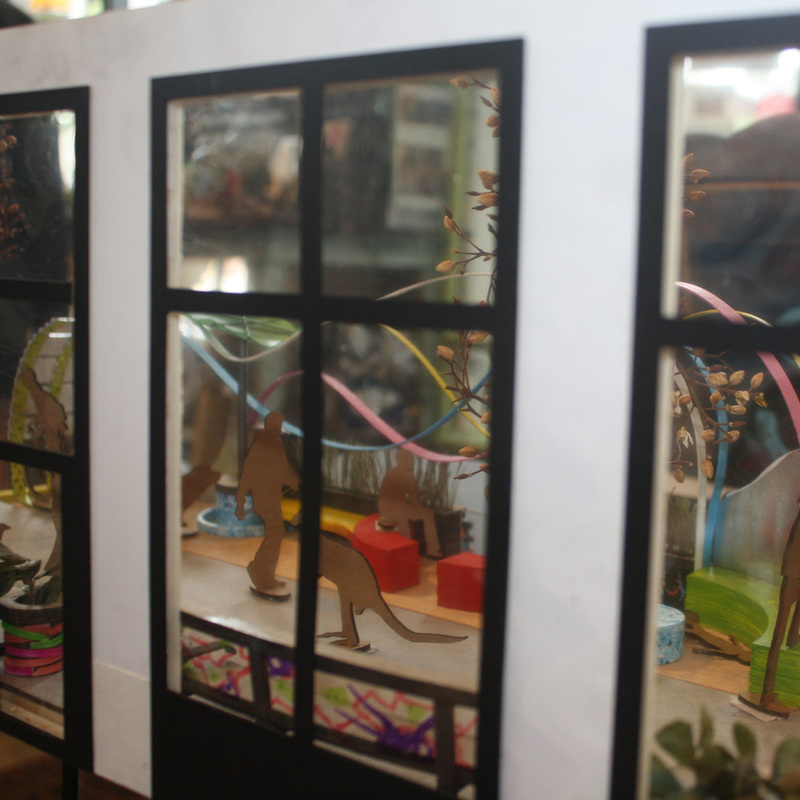 June's First Friday featured a teaser of what it will be like to have a parklet in the spaces. 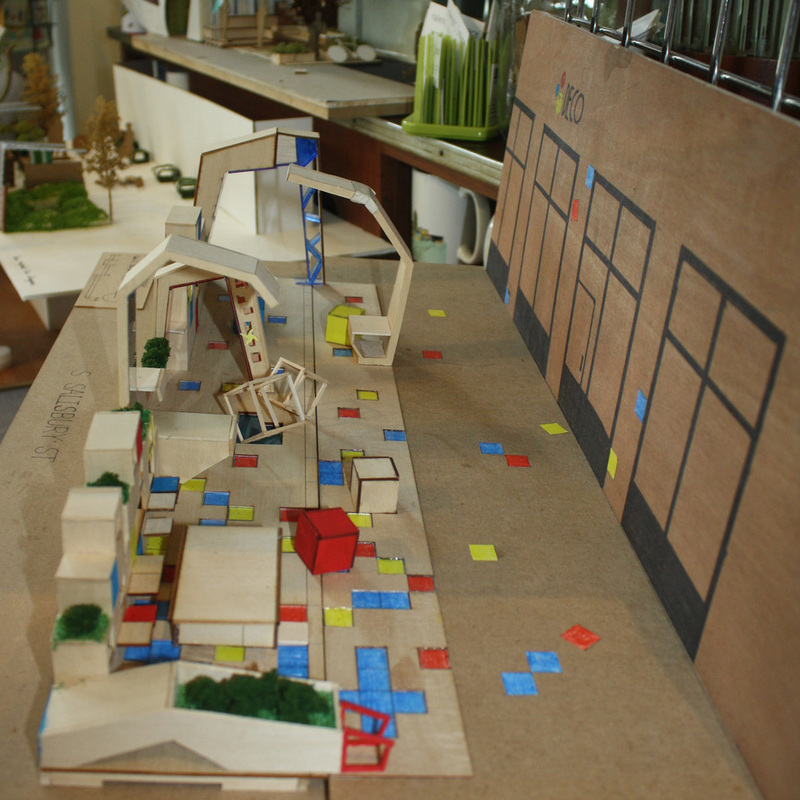 The students shared models and got feedback from hundreds of pedestrians. On June 19, the eight teams presented their fully-developed designs, and they are all incredible! 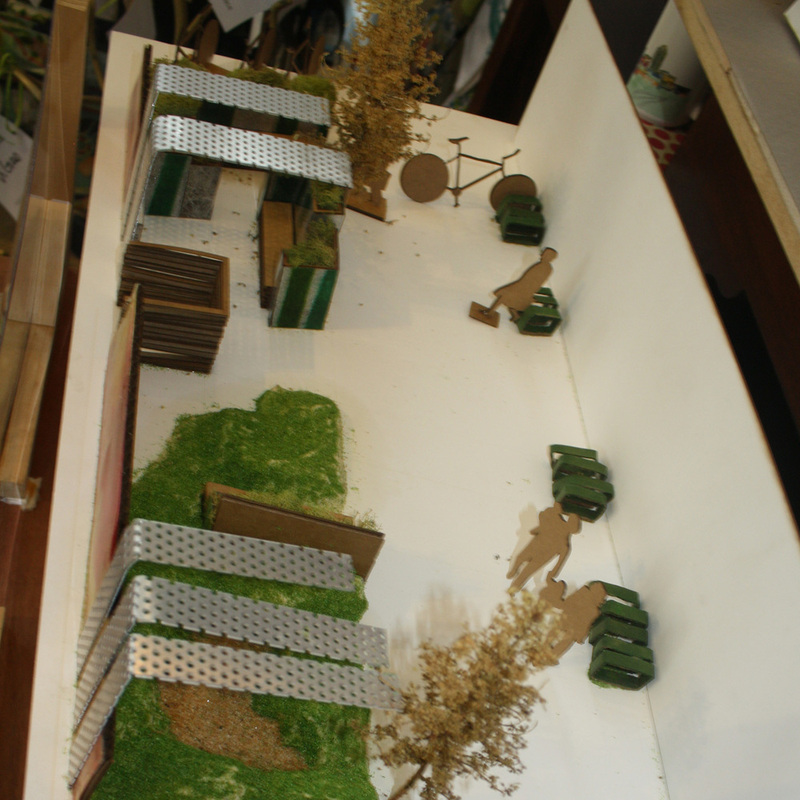 On public display once again, the models drew a large lunchtime crowd, many of whom completed surveys about what they like about the models and want from this parklet. These are incredible! They will be on display at Deco Raleigh until the end of June. Stop by and give us your feedback. And please consider donating to our KICKSTARTER to help make this happen. 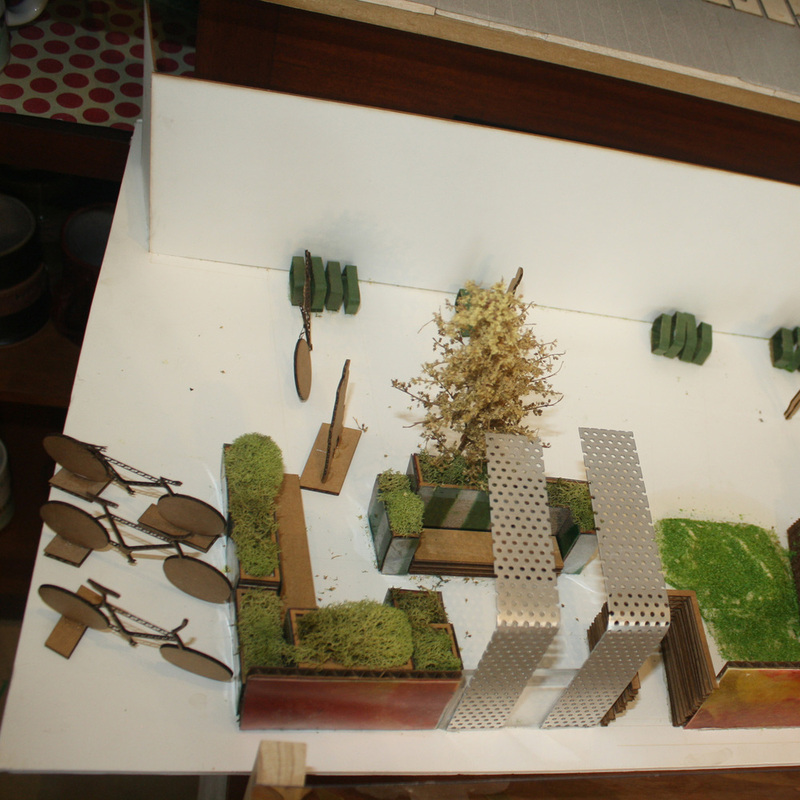 The final design will include elements of several of these models, partly based on public feedback. Construction is scheduled for completion by late September!